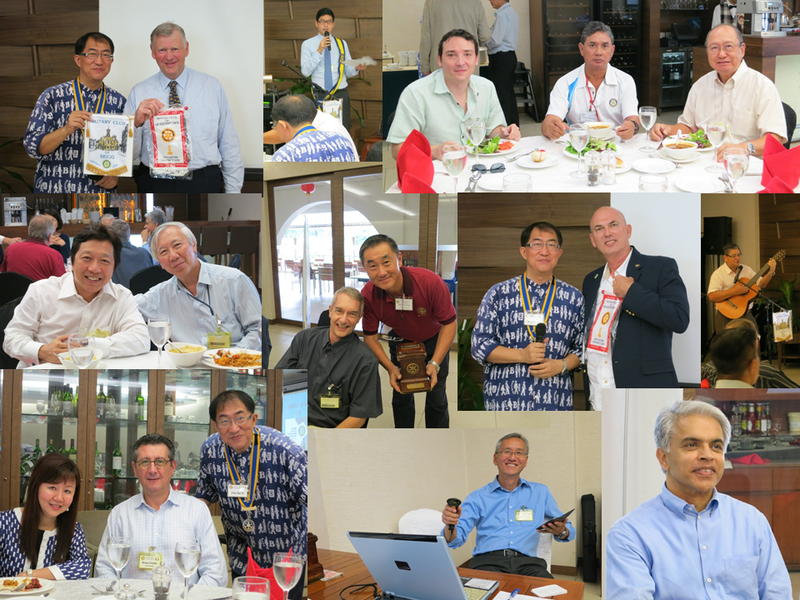 We had a full house at our last RCQ fellowship lunch meeting with visiting Rotarians from England and the Philippines as well as guests. As a surprise for all members PP Terry Ng performed a RCQ song to the tune of "Oh, Susannah". Most present enjoyed singing it accompanied by PP Terry on the guitar. PE Hans gave an update on this year's Major Project and the Fund-Raising Dinner which is going to be held on 8 March 2013 at Tanglin Club. Please contact IPP Mavis for tickets if you have not done so. PP Erich gave a report about last week's Golf Fellowship and its collection which goes towards the Major Project. Thanks to Rtn Gerard. PP Erich also thanked again Rtn Lois for organizing the Happy Hour on 31 Jan.
SAA David assisted by Rtn Daniel did a good job collecting Sunshine.